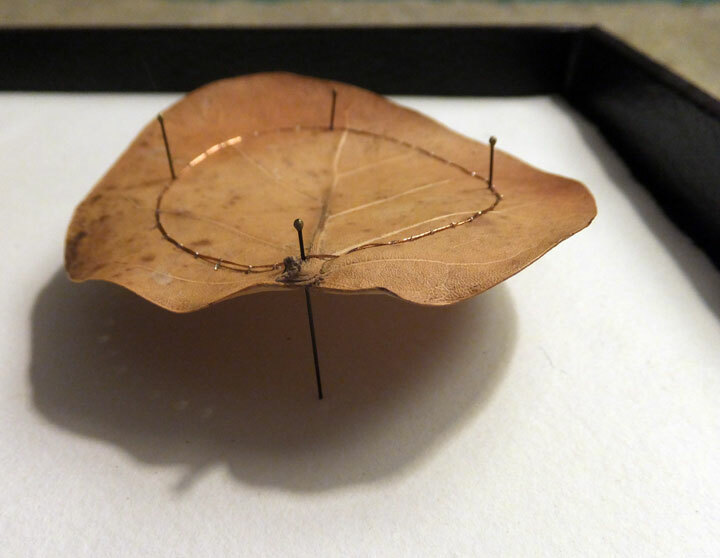 Using entomology pins from Merchant and Mills in my stitched leaves to mount them into a tray. See more about the leaves here and here. Working on a large installation of leaves, thinking I want to pin them all to the wall. Some in the trays on a table and others on the wall. Please feel free to comment, you don't have to have a squarespace account to make a comment or share information. If you click on any of the photos, they will enlarge on your screen. Thank you for visiting, dear sisters and brothers in stitch.